BEST WEEK OF THE YEAR !!! 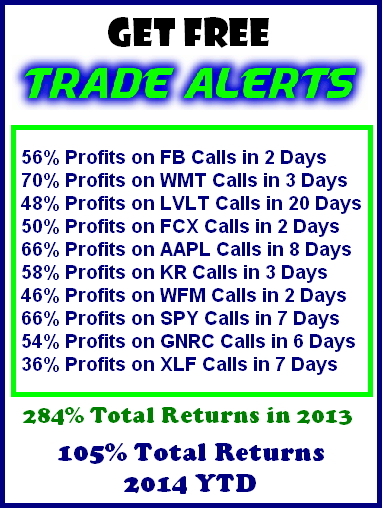 Week 44 produced a gain of $1,425 bringing our YTD gains to a profit of $14,455. Our funds in use is actually a credit, but I’ll explain that shortly. It was another good week and while all of the profits came from the long side of the market I am again VERY wary of what has gone on recently. This market has turned on a dime several times in the past 2 years and it feels to me like we may be headed in that direction again. There have been a great many downside surprises that have encountered a vacuum and fallen double-digits. These are not just biotech, but several of the bigger names. MCD and IBM have been victims, falling roughly 14% and 17% respectively. These are not GTAT or DNDN….they are two of the biggest and most recognizable names in American business. A look at RSI (relative strength) shows a divergence since July, and as a friend and competitor has pointed out to me, a look at the S&P 500 shows a well defined broadening pattern. While this pattern isn’t the most reliable, it only has to work once to be an expensive affair. The pattern portends a “change in trading character” and is generally seen in later stages of primary bull markets. As to our funds in use number, we have been involved in PPO on the call side. On Tuesday we sold half of the position on the 100% Up rule. On Thursday the stock exploded and closed up $10.79. Since the stock is thinly traded and the options being so deep in the money, it was difficult to find a reasonable bid, so we sold the same month expiration but with a higher strike. The option with the best bid was the 11/42.50 calls and we sold those for $9.90. We paid in $390 to own the stock @ 40 (200 shares). We gave away the rights to the stock @ $42.50 and received $1,980. Since we own it at $40 and have given away the stock @ $42.50 we have little risk, and we were paid $9.90/ share. By the way, the reason I used the headline above is that we are locked into an unrealized gain of $2,480 as long as PPO closes over $42.50…LAST TRADE $53.59…….And that does not include the fact that we already took a gain of $450 on the sale of the first half of the position. As I have mentioned repeatedly in this space, I am wary and have been taking smaller initial positions. I intend to continue this and for balance I have purchased RWM (reverse Russell2000) calls and some FB puts to maintain some balance for the portfolio. 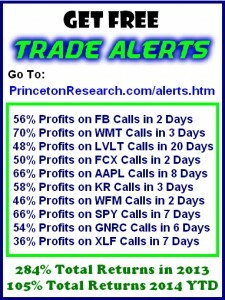 Previous closed out trades not listed here may be seen in previous market newsletters in the VIP Subscribers Members Area. Profits were substantial, while open position losses were reduced to $5,131.00. The DJ Transportation Index once again led the way to new all-time highs, up 2.2% to 8949.11. The Dow rose 183.41 points and the S&P 500 added 13.87 or 0.7% also to new all-time highs. 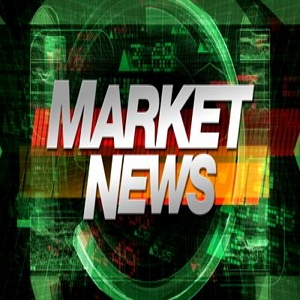 The Nasdaq Composite ended with a little gain of 1.79 on the week or 0.04% while the Russell ran out of gas again and was even a little lower down 0.19 points or 0.02%. Investors were encouraged by the Republican mid-term election win, while Europe seemed to cooperate to be on the verge of their own form of asset purchases to create more currency and assist their beleaguered economies. Spain, Italy and Greece have negative GDP’s while Germany’s is barely above zero. Optimism has gone to a new yearly high as the bullish consensus has run to 52.7%. Utilities led all Dow Industrial Groups up 1.64% for the week. The XLU, the Utility ETF Spider, rose to 46.25 a new all-time high. 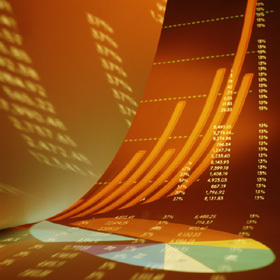 Consumer Goods rose 1.42%; Industrials 1.32% and Financials 1.17%. Consumer Services added 0.63%; basic Materials 0.48%; Technology 0.38% and even Oil and Gas was up by a meager 0.05%. Both Telecommunications and Health Care were in the red. Telecomm was off by 0.01% while Health Care fell 0.70% as investors fear a repeal of Obama Care next year. The Unemployment rate dropped to 5.8% from 5.9% in September. The average workweek rose to 34.6 hours from 34.5 in September. Hourly earnings rose 0.1%. Nonfarm Payrolls rose by 214K, less than the consensus which augured for 235K. Employment levels increased by 683,000 and participants in the labor force rose by 416,000. While many feel disappointed by the report, the employment gains are substantial enough to fuel acceleration in consumption growth and more consumers spending. Over the past several weeks, the initial claims level has stabilized below 300,000 and layoff activities have been reported at their lowest level in 14 years. As the economy grows from this point there are likely to be a continued shortage of qualified workers, which might keep the employment pace at best around 200,000 job gains per month. The Institute of Supply Management Report, which is reported the first day of each new month surged to 59.0 for October, its best level in three years. The Production Index increased to 64.8 in October from 64.6 in September. The Production Index increased to 64.8 in October from 64.6 in September, and gains in new orders, which rose to 65.0 from just 60.0 might keep production elevated over the next few months. Backlogs returned to an expansion as the related index increased to 53.0 from 47.0 in September. The Employment Index increased to 55.5 in October from 54.6 in September. Productivity continues to impress. Nonfarm labor productivity increased 2.0% in the third quarter, down from an upwardly revised 2.9% (from 2.3%) gain in the second quarter. Hours worked also softened, up 2.3% in Q3 after increasing 2.5% in the second quarter. Meanwhile, compensation growth increased 2.3% for a second consecutive quarter. The increase in labor costs are not significant enough to create inflation. Productivity gains in the last two quarters made up for the loss in the first quarter. Has merged with LGM, a potential to be the Tesla of Asia. We like it now, above its 13-day moving average. Please go to www.leomotors.com ( English Version ) Risk is 3 cents. You have heard about a new short-circuit technology. Many new breakthroughs in electric energy are coming. freight handling, light industrial services, manufacturing, social events, and retail industries. Notice: The Flexibility for whatever the market direction. Both the VIX and SPXU protect against declines while the UDOW and various stocks are from the long side. The APT had a nice run ( to over $ 10 ) but now is stopped out. 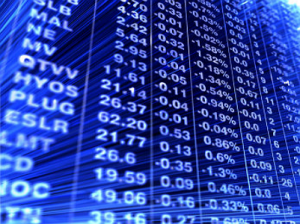 Optimism has been overwhelming as four indexes on made new highs on Friday, The Dow, S&P Transports and Utilities. Not since March 1998 has that happened on the same day. The American Association of Individual Investors popular poll, which we publish weekly, is up to 52.7% who think that stocks will rise over the next six months. What has been consistent is the negative performance of equities whenever that index rose above 50%. The bulls have had the benefit of the fundamentals: Low interest rates, cheap commodity prices such as gas at the pump , the creation of QE type capital around the world and an apparent Republican victory. Fueled by slowing global growth and Ebola outbreak concerns, the first half of October handily lived up to the month’s nasty reputation. From their respective mid-September highs, DJIA was off 6.7% and S&P 500 was down 7.4% before finding support in mid-October. However, concerns quickly faded as corporate earnings continued to meet and beat expectations (central banks also helped out) and the markets briskly rebounded to finish the month solidly higher. DJIA gained 2.0%, S&P 500 2.3%, NASDAQ 3.1% and Russell 2000 a whopping 6.5% in October. DJIA, S&P 500 and NASDAQ all finished the month at new highs. As a result of October’s v-shaped recovery, gains were widespread across most ETF sectors. Investors were able to buy high quality stocks that were featured on our table. Exxon, DuPont, John Deere and Kroger and United Airlines were the top five at a big discount to value. We also bought the UDOW, Dow ETF at a great price surrounded by the SPXU and Volatility Index for added protection. The worst declines were recorded from Gold, Silver and Oil. Yet if you stood in there and bought Exxon as recommended you got a great stock at a discount, a large quality growth stock with a dividend. The Alpha Pro Tech ( APT: $ 3.26 ) had been to over $ 10 a share on the Ebola scare. The heavy metals such as Iron Ore, plus Gold Miners and Oil producers, were among the biggest losers. Stocks like Cliffs Natural Resources ( CLF: $ 11.17 ) plunged all the way down to $ 7 a share in October. Not to be outdone Walters Energy ( WLT: $ 3.19 ) fell all the way down to $ 1.65 per share. WLT began the year above $ 16/share. The Market Vectors Jr Gold Miners (GDXJ) plunging 27.2% in October. Its performance has been so miserable that it has the dubious honor of being the worst performing ETF over 1-, 2-, 3-month periods and second worst over the last 6-months and 1-year timeframes.